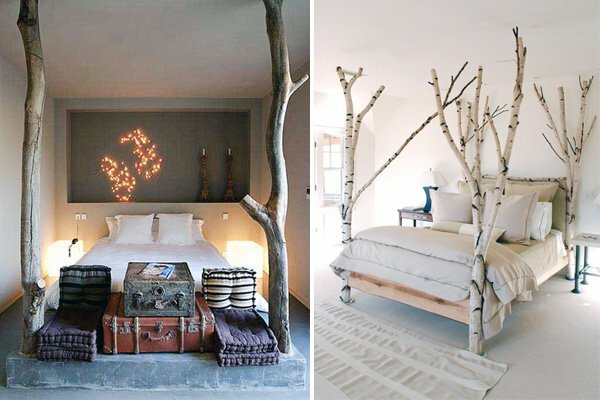 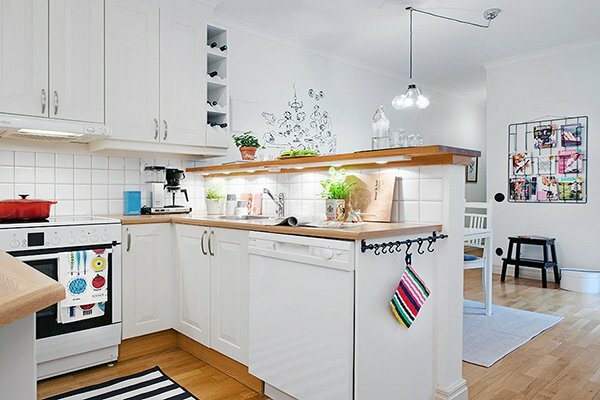 Eliminating unnecessary accessories and items while designing any room of the house is essential – and this approach have been on the rise for the past couple of years. 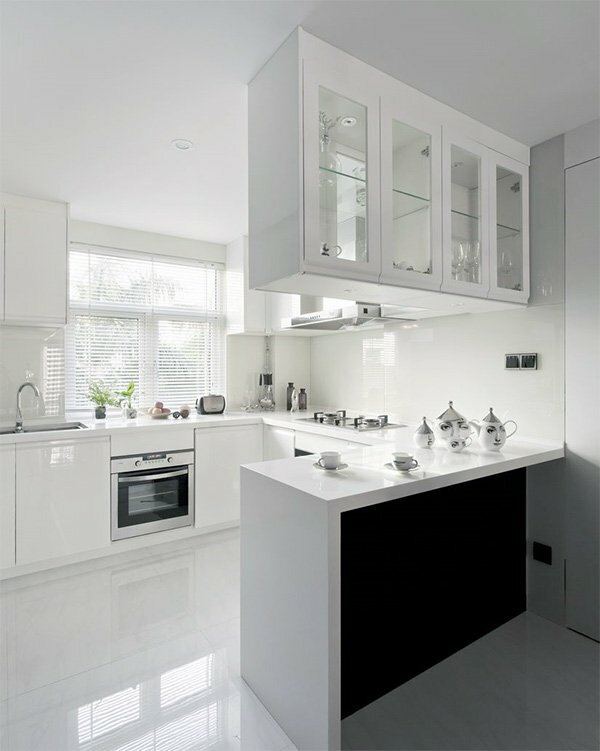 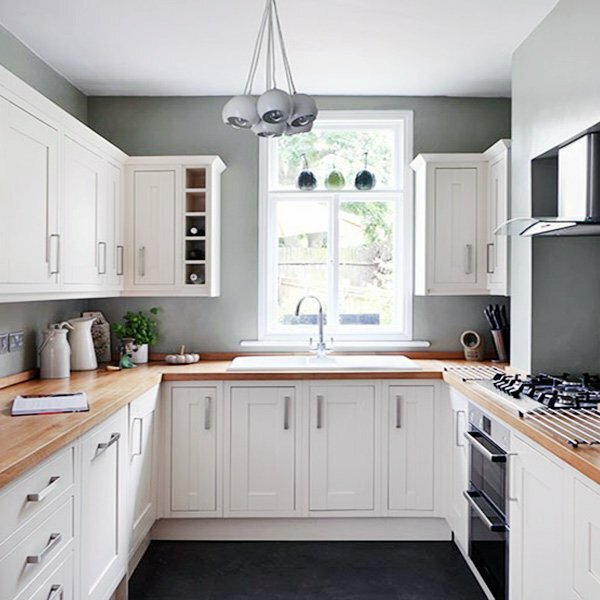 People tend to go for minimalist kitchen design as they are now looking to create a space that offers simplicity and style at the same time, and minimalist design provides just that. 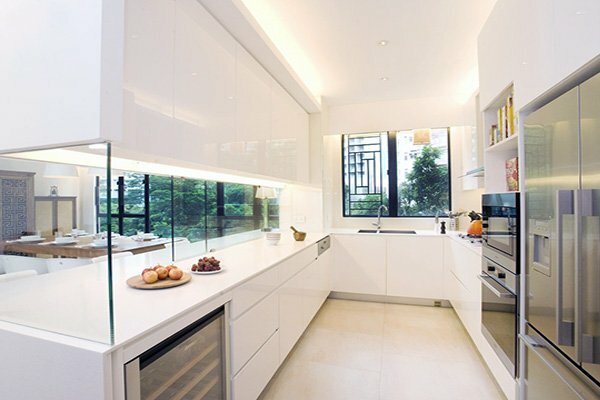 Open kitchen design helps simplify the decor and offers functionality. 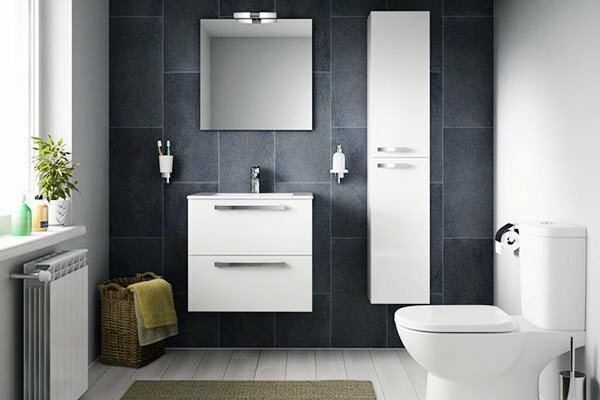 Although this design is more suitable for bigger spaces, you can still achieve amazing results with smaller spaces as well. 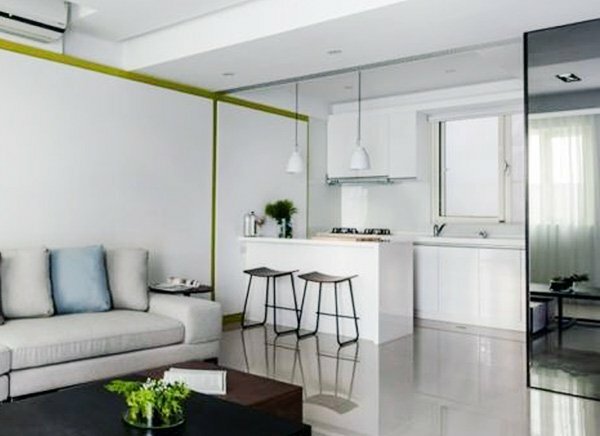 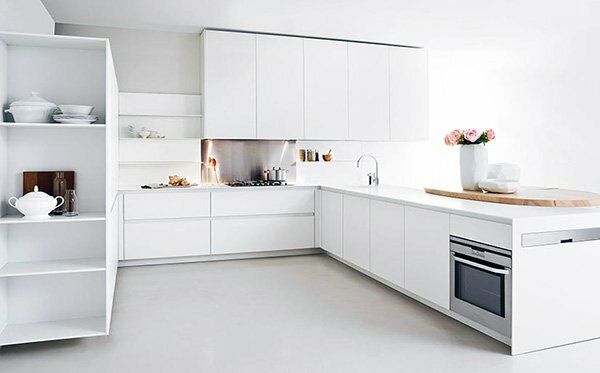 White is the essential part of minimalist design as it helps with broadening the space and also forms the basis for that simplicity and style we are after. 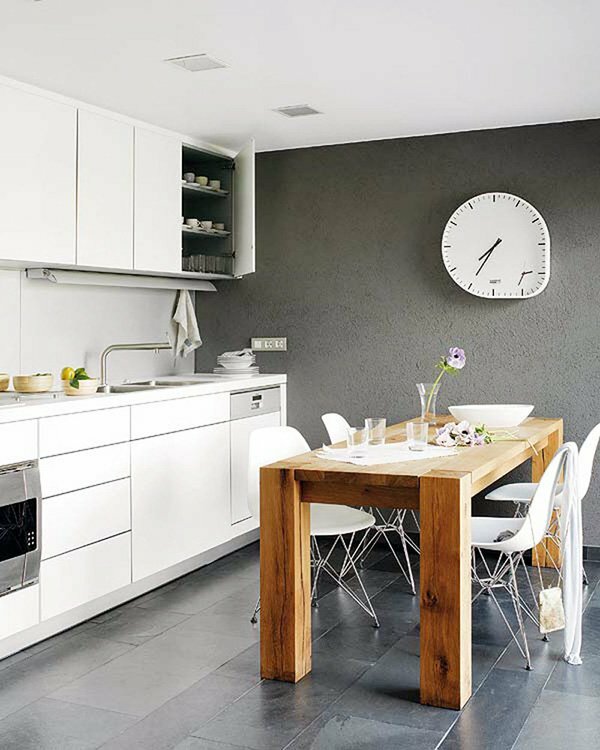 Opt for white walls and accessories to create a bigger-looking, stylish, simple, and beautifully minimalist space. 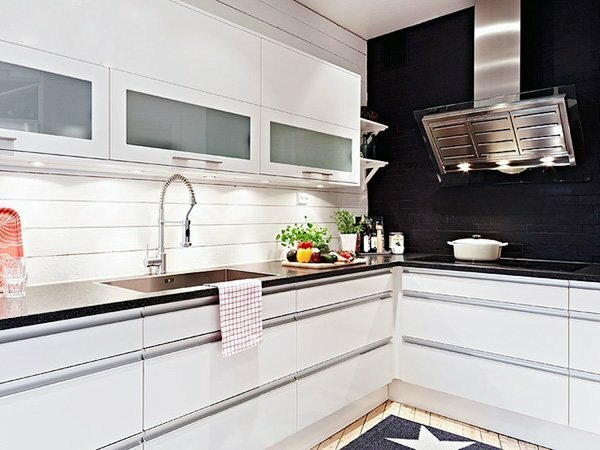 This design is without a doubt highly functional and creates wonders in small kitchen spaces. 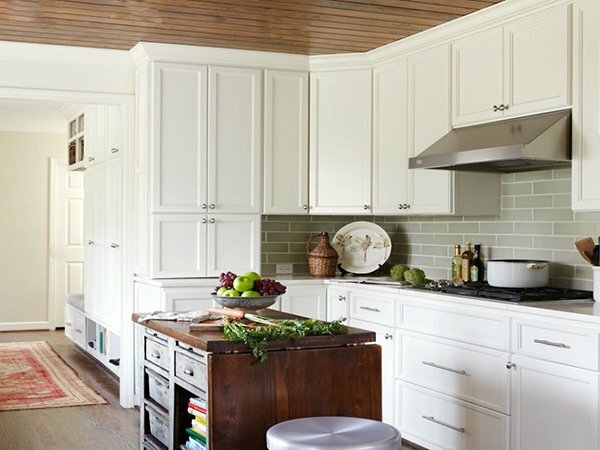 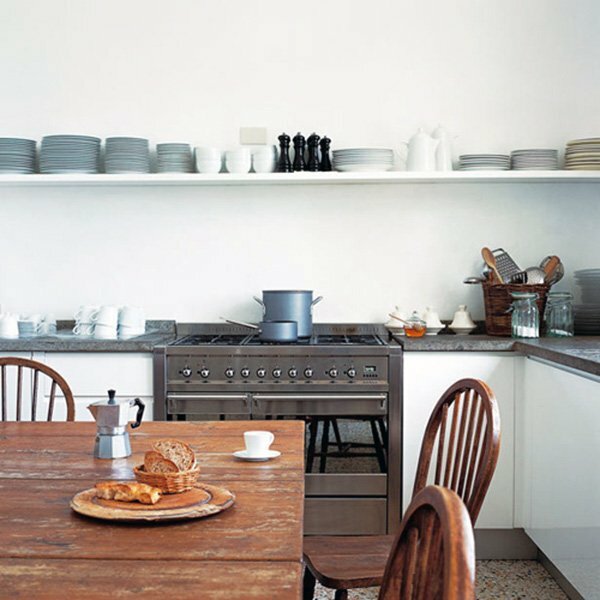 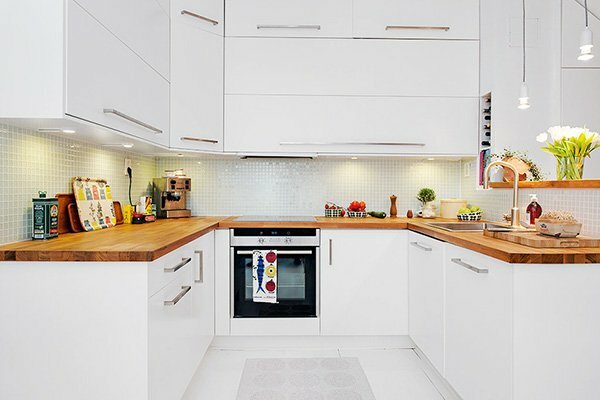 It offers plenty of counter space, and makes the most of the overall space – which makes it ideal for smaller kitchens. 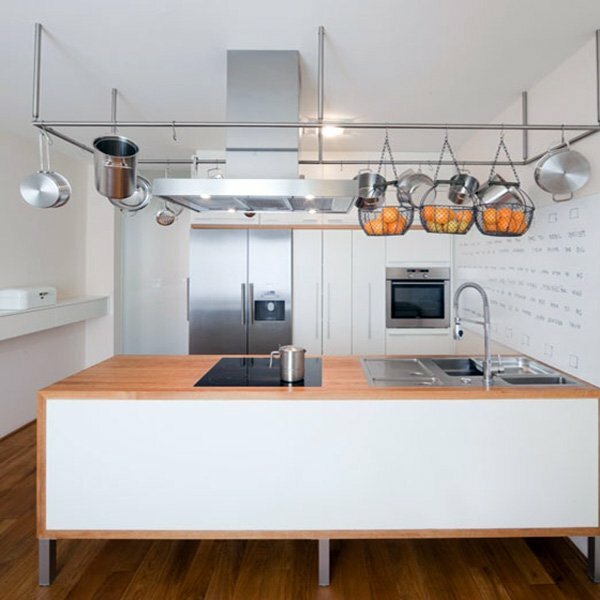 Wood is also an indispensable part of minimalist kitchen design as it offers a spectacular balance with the rest of the decor. 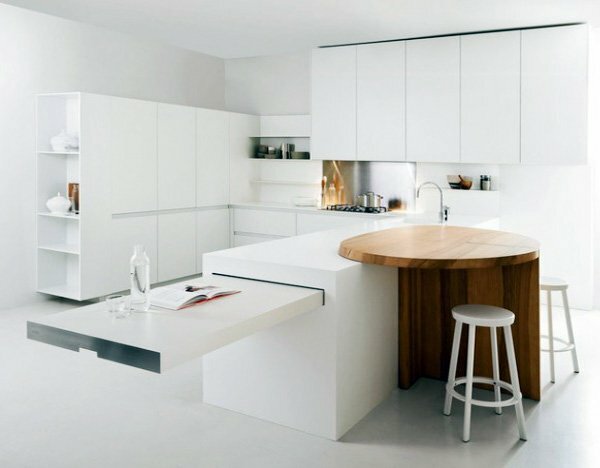 Since minimalist design incorporates elements that offer cleanliness, simplicity, and uses lighter and solid colors, adding wooden elements to the design makes it complete, and fabulous! 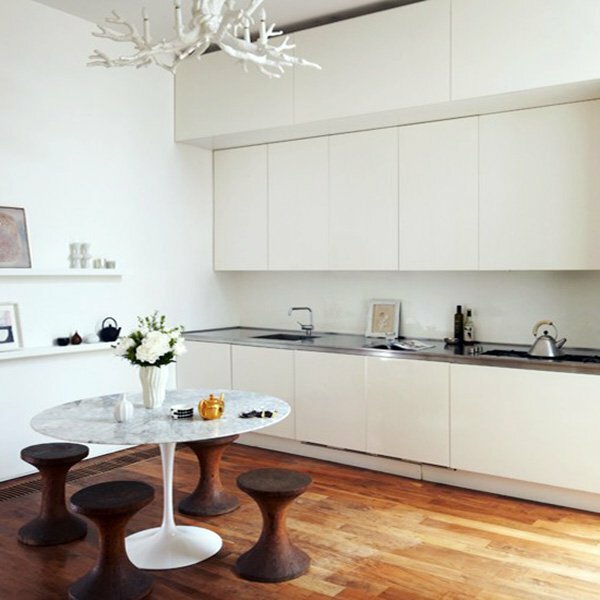 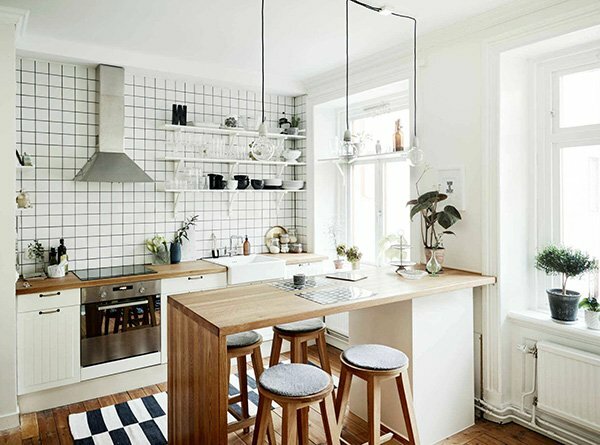 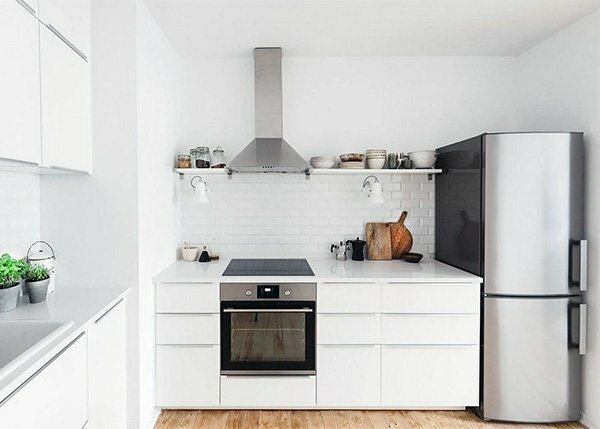 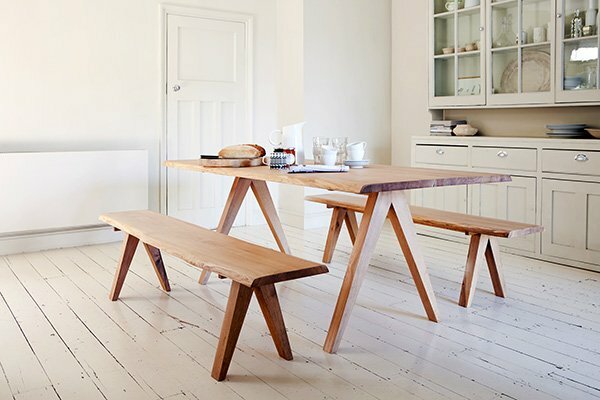 Minimalist design represents Scandinavian culture, and uses lighter, clean tones on kitchen cabinets, kitchen islands, tiles, walls, and accessories. 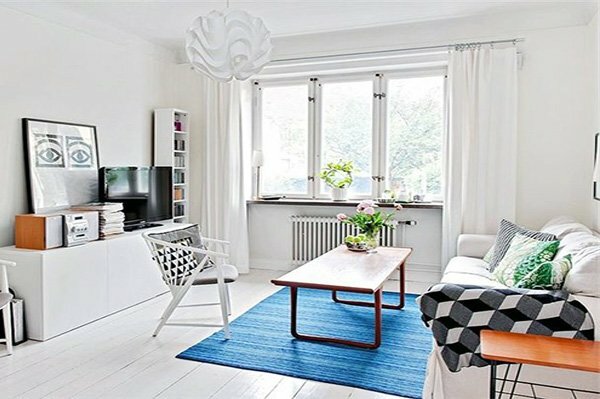 You can add grey, black, and some vivid colors here and there to add dynamism, but make sure to not go overboard as the main idea here is to create a simple, effective, cozy space. 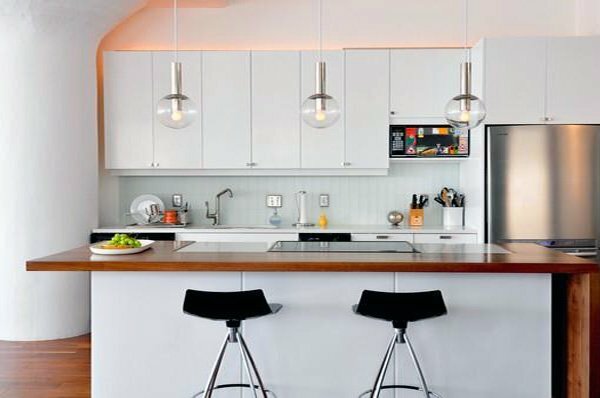 If you’d like to create a comfy, cozy, peaceful yet modern and stylish kitchen space, check out these amazing ideas we have gathered below!